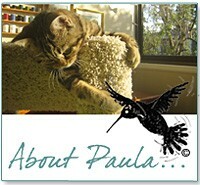 My name is Paula Brown, animal communicator, author (“Fur Shui. 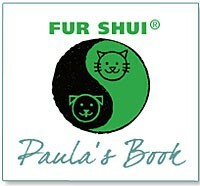 An Introduction to Animal Feng Shui”), and energetic advisor to fur folks and their people all around the world. 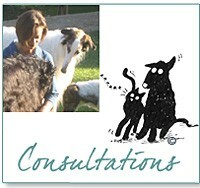 My business “The Heart of Conversation” activates both heart to heart communications needs AND energetic work with animals and environments. My strengths are the offering, use, and sharing, of many energetic and intuitive tools that can give you full and deep reports on “what’s up” with your pet’s behavior…all to renew, ignite, and inspire, positive and balanced behavior. Animals have been my “family”, my joy and passion of “WHY” I do things all of my life. Since 2000, I have been “officially listening” to animals’ hearts, helping people make deeper loving connections with their animal companions. As an animal communicator, my mission and passion is to be a bridge connecting your animal’s heart with your own, giving both “voices” a chance to be heard. My passion is to find out the “WHY” of what and how your animal is behaving, to report your and their “story” to each other. A story that constantly changes and flows with time and environment. Your pet can help you find solutions to their behavior and emotional issues by “telling” you the “WHYS” of the how of what they are feeling and experiencing. My joy is to have authentic heart to heart telepathic communication with all species of animals which is guided by the ethics of love, dedicated and empowered by gentleness and empathy, producing realizations of powerful connections and healing of the heart, mind, and spirit, for both animals and their people. Combining energetic reads along with a telepathic read (conversation) gives a holistic and full view of your pet inside and out. My energetic tool kit includes: energy dowsing (to find energy blocks), custom flower essence “reads” (emotional body balance), chakra discovery scans and work, pendulum practices, and feng shui cures to move stagnant or stuck “chi”. I have studied with and become a referral source for world recognized teacher Carol Gurney / Animal Communications, studied with the Flower Essence Society, learned “the body language of horses” from Monty Roberts / Flag is Up Farm, studied medical Qi Gong with Emperor’s Traditional School Chinese Medicine (Santa Monica, CA), dowsing with many masters and am a member of the Ozark Research Institute, and am a Feng Shui practitioner of the Black Hat School / Hawaiian & Tibetan line. For more…check out my bio link below. My hope is that this site will inspire you to find out more about the many wonderful ways your pet “communicates” with you. As I see it, the possibilities are as infinite as is the unconditional love that they give to you.